Are you unsure on who to trust with the design of your new kitchen? 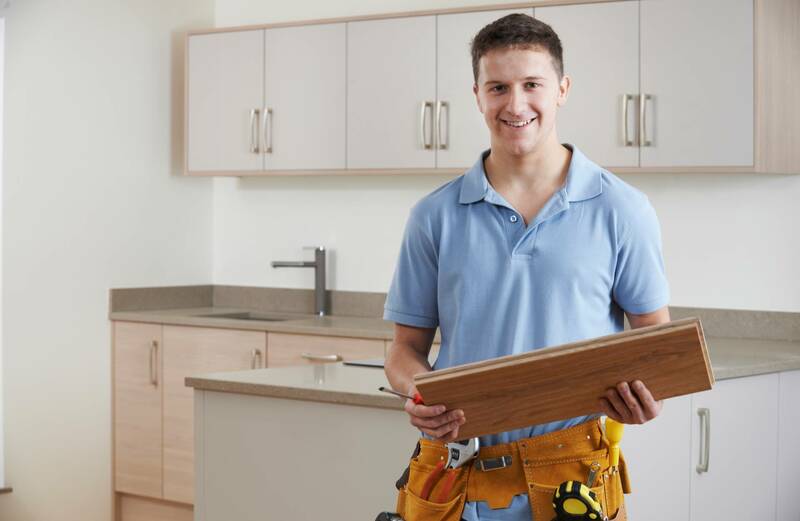 Here at Ian’s Property Maintenance, we’re home to the most skilled kitchen fitters in Stafford! Known throughout the area for our unique kitchen designs, abilities to create any design that you want, and luxury materials, our kitchen fitters known their stuff when it comes to transforming your home – giving you a kitchen that’s everything you’ve dreamt of and more. By working with us, we will get the design of your kitchen perfect by taking it to the next level using quality fabrics and unbeatable prices. Our Kitchen Fitters in Stafford Can Achieve Any Design! With so many different styles to choose from these days, finding the right one for you is a big decision… You want a kitchen that’s stylish, up-to-date, but more importantly reflects your own unique preferences – our kitchen fitters in Stafford will help you every step of the way with the decision making. It doesn’t matter if you want something that’s modern, quirky, and bold, or whether you want a kitchen that’s traditionally elegant with a timeless feel. Every home is unique, and we guarantee their will be no other kitchen around with a design like yours! Since kitchens is our speciality here at Ian’s Property Maintenance, our kitchen fitters in Stafford are experts at creating detailed and easy to follow plans with a fantastic attention to detail… Simply with a free visit to your home where we will complete measurements and chat about your budget, we will sketch you a after visual representation and you’ll be amazed by what come up with. Have a deadline you want your project to be finished by? Our kitchen fitters in Stafford are extremely busy, therefore we recommend you contact us as soon as possible to get the process started. For inspiration in the meantime, take a look at our recent projects on our website!